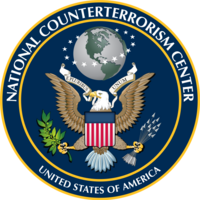 The National Counterterrorism Center (NCTC) was established by Presidential Executive Order 13354 in August 2004, and codified by the Intelligence Reform and Terrorism Prevention Act of 2004 (IRTPA). NCTC implements a key recommendation of the 9/11 Commission: “Breaking the older mold of national government organizations, this NCTC should be a center for joint operational planning and joint intelligence, staffed by personnel from the various agencies.”1 See Final Report of the National Commission on Terrorist Attacks Upon the United States, at p. 403. The Director of NCTC is a Deputy Secretary-equivalent with a unique, dual line of reporting: (1) to the President regarding Executive branch-wide counterterrorism planning, and (2) to the Director of National Intelligence (DNI) regarding intelligence matters. NCTC follows the policy direction of the President, and National and Homeland Security Councils. NCTC is staffed by more than 500 personnel from more than 16 departments and agencies (approximately 60 percent of whom are detailed to NCTC). NCTC is organizationally part of the ODNI. By law, NCTC serves as the primary organization in the United States Government for integrating and analyzing all intelligence pertaining to counterterrorism (except for information pertaining exclusively to domestic terrorism). NCTC integrates foreign and domestic analysis from across the Intelligence Community (IC) and produces a wide range of detailed assessments designed to support senior policymakers and other members of the policy, intelligence, law enforcement, defense, homeland security, and foreign affairs communities. Prime examples of NCTC analytic products include items for the President’s Daily Brief (PDB) and the daily National Terrorism Bulletin (NTB). NCTC is also the central player in the ODNI’s Homeland Threat Task Force, which orchestrates interagency collaboration and keeps senior policymakers informed about threats to the Homeland via a weekly update. NCTC leads the IC in providing expertise and analysis of key terrorism-related issues, with immediate and far-reaching impact. For example, NCTC’s Radicalization and Extremist Messaging Group leads the IC’s efforts on radicalization issues. NCTC’s Chemical, Biological, Radiological, Nuclear Counterterrorism Group pools scarce analytical, subject matter, and scientific expertise from NCTC and CIA on these critical issues. NCTC also evaluates the quality of CT analytic production, the training of analysts working CT, and the strengths and weaknesses of the CT analytic workforce. NCTC created the Analytic Framework for Counterterrorism, aimed at reducing redundancy of effort by delineating the roles of the IC’s various CT analytic components. NCTC also created a working group for alternative analysis to help improve the overall rigor and quality of CT analysis. This page was last modified on 13 August 2018, at 20:06.